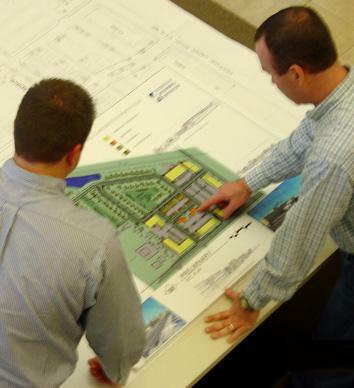 The consulting team at Ruedebusch has a long and diverse history of project types and services offered. Our experience ranges from location analysis and site planning to facility planning, project oversight and implementation, and property management. Our site analysis and planning services help users find the best site and make the best use of the land available. We review the market and available properties to recognize the big picture and then narrow down on a site to best meet the clients' needs. In conjunction with choosing a location we can design a site layout to maximize efficiency and flexibility for future facilities. With facility planning and project implementation we work directly with the client to understand their short-term needs and long-term goals. Once the framework has been set it allows us to design specific facility plans and manage the process from initial vision to construction documents to finished product. Generating positive outcomes in Commercial Real Estate.